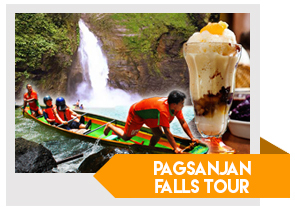 Experience the shooting rapids of Laguna’s most popular tourist attractions- Pagsanjan Falls. 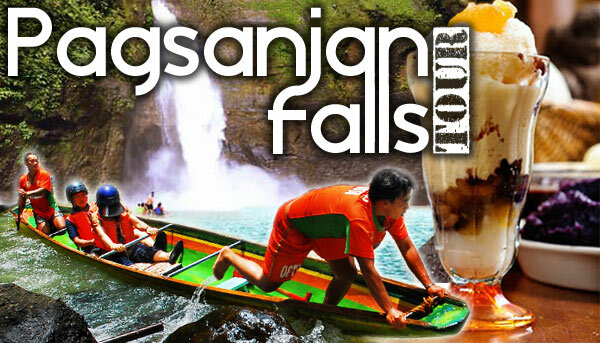 Pagsanjan is one of the most well-known waterfalls in the Philippines where tourists come for the adventurous boat ride on the clear spring water. All guests take an enthralling trip over the falls on a native bangka with experienced and accredited boatmen. Top off your daring ride with a filling meal complete with the famous filipino dessert halo-halo and your tour will be complete! This tour is open for all ages. Parental guidance is recommended for children under the age of 12. Pagsanjan is a 3hr drive from Manila. We recommend tourists to allot 1 full day for this tour. Recommended pick-up time is 6 AM to reach the Pagsanjan at 8 AM. Tour duration is 4 hours. Estimated time of arrival back in Manila is 7 PM. Best time to visit the falls is during rainy season which is on July- September for more exciting rapids.